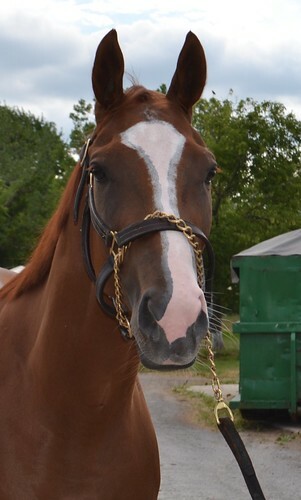 Nobody ever told Estelle she is supposed to be a racehorse: she is convinced she is a super model! She posed perfectly and owned every moment of her photo session. We think she looks like a super model, too, with her balanced build and flashy good looks. 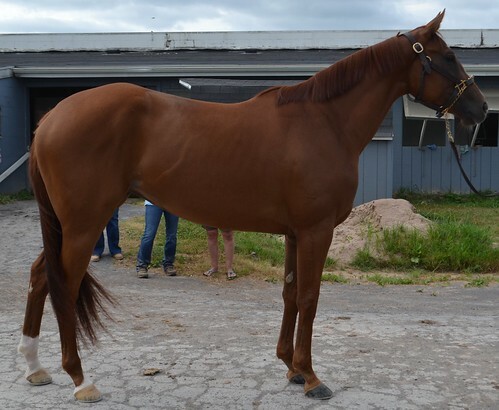 She recently came to Finger Lakes from Ocala where she had a handful of starts at Gulfstream Park, all without much success. Her handler is also her exercise rider and he reports that she is good to gallop and very athletic. She had run earlier in the week and had finished last, cementing the trainer’s decision to move her along. 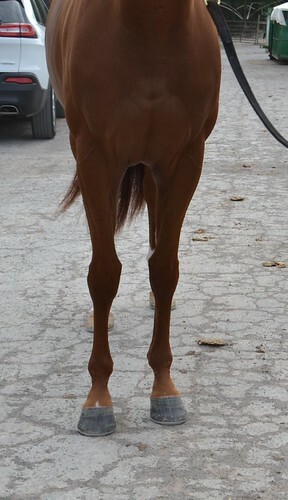 This is a young, beautiful, sound filly who is well cared for by her current connections, the proverbial blank slate with tons of potential.